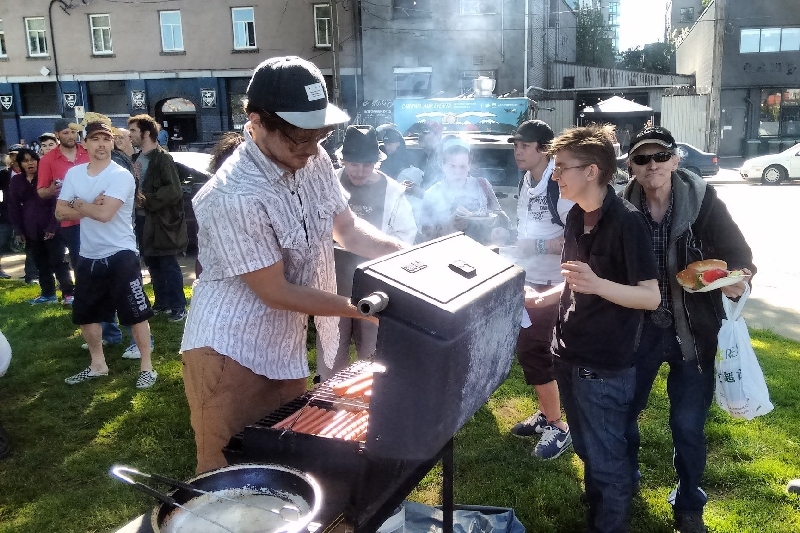 Fundraiser by Sarah Sheridan : SUPPORT TENT CITIES! Thank you so much for your support during this fundraising period. 10-Year-Tent-City and Anita Place continue to operate and will need more donations in the future. At this time, we've decided to end our campaign as the residents have established both tent cities and there are no more initial set up costs. Thank you for sharing with and supporting these tent cities. This campaign has been expanded to include Anita Place tent city in Maple Ridge as well as continuing to support 10-Year-Tent-City in Vancouver. 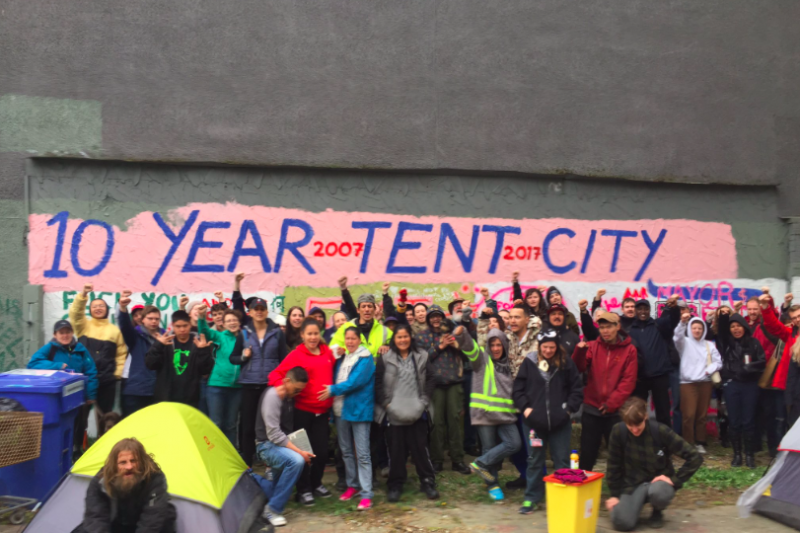 UPDATE: 10-Year-Tent-City won in court against The City of Vancouver! On May 17th, a group of residents from the Ten Year Tent City trekked to the Supreme Court to defend their charter rights against the City’s pending emergency injunction. At the trial, the City argued that the tent city at 950 Main Street stalled the development of social housing on the city owned lot, which has been vacant and owned by the City since 1998. Without legal counsel tent City residents challenged the City’s sudden urgency to develop the site, spoke to the benefits and importance of maintaining the tent city and how displacing the tent city without providing residents with alternatives would significantly compromise the health, wellbeing, and safety of tent city residents by pushing them back into the streets, back alleys, and parks where they are less safe and more vulnerable to violence, theft, and fatal overdoses. UPDATE: Anita Place tent city has been granted our request to adjourn Maple Ridge's injunction hearing until June 20th! Maple Ridge council opposed our request for a 2 week adjournment but the judge found our access to legal council is more important. Anita Place has rebuilt, reorganized, and is buoyed by the Court victory of 10 Year Tent City -- the feeling around camp is that we're in it for the long haul: we're not going to abandon Anita Place except for new social housing that takes all Maple Ridge homeless off the streets. The City's siege on Anita Place encouraged Ridgeilantes to step up their harassment of homeless people. For days after the Bylaw sacking of the camp, we suffered more hostile visits from Ridgeilante-types, who regularly cruise by, shout slurs, glare, and take photographs of the camp. One driver in a white hatchback lobbed a stone at the camp in the middle of the night, striking a camper in the head. But Anita Place has also mobilized supporters. 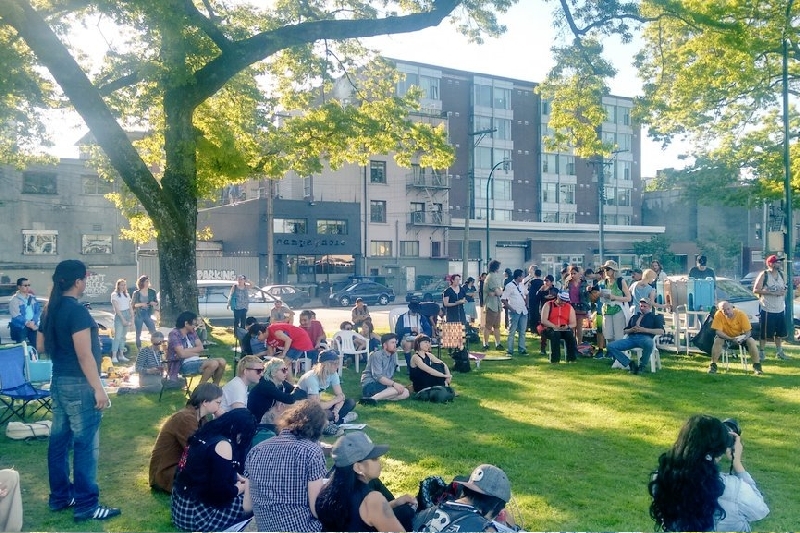 On Saturday May 13th, in response to the Bylaw and vigilante attacks on the camp, a new group of housed Maple Ridge residents organized a demonstration in support of Anita Place and demanding social housing, not displacement. There are currently about 35 people staying at Anita Place each night, and we are preparing for a population boom. At the end of May, the Rain City shelter (Maple Ridge's only low-barrier shelter) is scheduled to close and many of the 40 people there will have nowhere to go except Anita Place. We are calling for donations to maintain the camp, and for the resources we need to support the coming residents. Anita Place is carving out space for low-income people's survival in the belly of the beast! -------Last year BC alone lost over 900 people to drug overdoses--another epidemic killing our neighbours. Tent cities bring people together who watch out for each other and, if need be, can save each other from dying of overdose. And while cities, the province, and the federal government stand by refusing to act in the best interest of homeless people, this camp needs resources to survive. Your donation will pay for food, tents, blankets, warm clothes, banners for handmade signs, tarps, first aid supplies and other miscellaneous supplies needed to keep these tent cities running. Please donate what you can. Support tent cities. BUILD HOMES NOT SHELTERS. BUILD HOMES NOT JAILS. -Can you share this campaign on twitter, facebook, or through e-mali? -Can you speak to your friends, neighbours, and coworkers about these tent cities to spread the word? **This campaign was originally named "Keep 10-year-tent-city-alive!". This campaign was changed Sunday May 7th to include fundraising support for "Anita Place"-the tent city in Maple Ridge that began earlier this week. ***If you want your donation to go to a specific tent city, please note either "Maple Ridge" or "Vancouver" in the comment section of your donation., otherwise it will go to whichever tent city is most in need. ****Donations are managed by Alliance Against Displacement. Supplies for the tent cities are purchased as needed at the request of the residents of tent cities. *****For any large donations or for those who don't want to donate online, we can accept cheques. 10-Year Tent City residents celebrated their win today but the fight will continue! Please share this campaign widely to provide continued support for tent city residents in Vancouver and Maple Ridge! Thanks to everyone who came out to our celebration party today in Vancouver-including Anita Place residents all the way from Maple Ridge!